When the New York Knicks confirmed Tuesday evening that they had decided not to match the three-year, $25.1 million offer sheet tendered by the Houston Rockets to restricted free-agent point guard Jeremy Lin, many fans expressed sadness at what they viewed as the too-soon conclusion of Lin's brief, remarkably eventful tenure in Manhattan. (This one included.) Many others stood fast against that emotional tide, though, arguing that this was a logic-based decision predicated on the financial reality that Knicks owner and Madison Square Garden chairman James Dolan simply couldn't agree to pay a still-unproven commodity with a rotation-player resume just 26 games long a whopping $14.9 million for one year of work three years from now. Even the NBA's most valuable franchise can't just sign up for $35 million luxury-tax payments, the argument went — and as I wrote Tuesday, the Knicks' balance sheet indicates they'd be writing a check at least that big in 2014-15 if they matched Lin's sheet, depending on how else they filled out the roster. Strip out the emotion, they said, and as the New York Times' Howard Beck wrote, "the short answer" for why the Knicks would let Lin go is "money." The decision was both financial and emotional since Garden chairman James Dolan was upset over Lin restructuring his deal with Houston last week to include a third year salary of $14.9 million. Dolan, according to sources, felt he was deceived by the 23-year-old Lin. 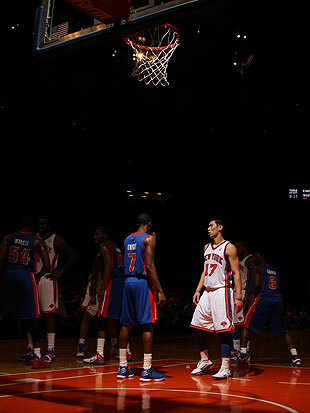 "Much love and thankfulness to the Knicks and New York for your support this past year," Lin said on Twitter. "Easily the best year of my life. #ForeverGrateful." "Deceived." "Upset." "Without their consent." "Livid." Doesn't sound like bottom-line-based decision-making, does it? Lin going "back to the Rockets for more money," as Isola put it, came after reports surfaced that Houston planned to sign Lin to a four-year, $28.8 million sheet — really three years and $19.5 million, since the Rockets would hold a team option for the fourth year — with the so-called "poison pill" coming in the third year, when the 23-year-old point guard would be due a $9.3 million payout. Dolan has a history of overpaying his players and has never shied away from the luxury tax before. But in this case, Dolan felt betrayed by Lin for going back to Houston to rework the contract. After all, the Knicks acquired Lin in December after he was released by both Golden State and Houston. And that's where it gets absurd. "Betrayed." "Betrayed!" This wasn't an act of treason. This wasn't a violation of some sacred trust or blood oath. This was a player with the collectively bargained right to find out how much he was worth on the market doing so. This was another team with an interest in that player and the salary cap space available to sign him exercising its collectively bargained right to offer him a contract that increased its chances of doing so. This was how free agency works. Weeping and gnashing your teeth at that indicates that Dolan, general manager Glen Grunwald and company don't actually understand the rules of the game they're playing, which is about as apt a description of the way the New York Knicks organization has been run for the past dozen years as any I've yet read. Lin's return to New York wasn't predetermined by bonds of servitude or commanded by some kind of fealty after the Knicks signed him to the end of the bench and then got lucky as hell — all-time lucky, once-in-a-generation lucky, this-kind-of-thing-doesn't-happen lucky — when he became an on- and off-court thunderbolt. 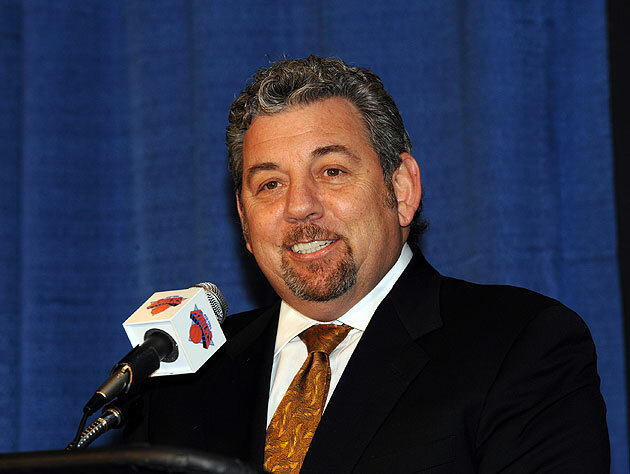 It was up to Dolan, Grunwald and the Knicks to actually pay him to play. That's the business that Lin, Dolan, Grunwald, Morey and everyone else in the NBA are actually in. That's what dictates and governs everything. Do you want to pay the man, or don't you? If they didn't want to because A) they don't think Lin's good enough to pay what it'd cost, considering they've already got Raymond Felton, Jason Kidd and (unofficially) Pablo Prigioni in the fold at the point, or B) they decided in a sudden pang of financial conscience that they just couldn't justify spending eight-figure money on an unsure thing, then that's one thing. Personally, I disagree with those assessments — given Felton's heinous performance in Portland last year, Kidd's advanced age and the fact that the 35-year-old Prigioni has even less NBA experience than Lin does, I think Lin would enter the season as clearly the best point guard on the Knicks roster, and I'd point those terrified by the third-year balloon payment toward David Aldridge's roundup of the avenues that were available to the Knicks had they kept Lin and he didn't work out (Cliffs Notes: "stretch provision" and "giant expiring contract") — but fine. Reasonable people could differ about the validity of those decisions, but at least they'd be based on some kind of logic. Allowing a young asset with the potential to mature and with significant demonstrable value already — both off the court and on it — to just walk away, though? Not having a plan in place to at least get something in return for the investment you made? Throwing your hands up because several completely reasonable things happened and you just straight-up got beat? That's not logic; it's tantrum. That doesn't make you some kind of principled, commendable soul; it just makes you a rash, ill-considered loser. It makes you the Knicks. Forever and always, the Knicks.